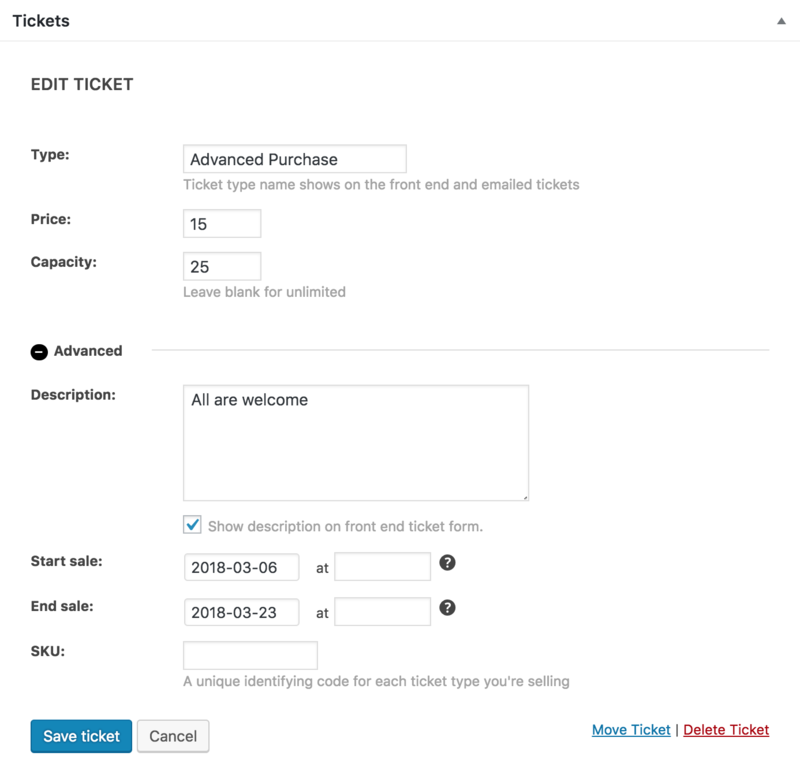 Event Tickets is a free WordPress ticketing and event management plugin available on the WordPress.org plugin repository. With Event Tickets, you get professional-level quality and features backed by a team you can trust. Download Event Tickets for free. Event Tickets provides a simple way for visitors to RSVP and buy tickets to your events. As a standalone plugin, it enables you to add RSVP and ticket functionality to posts or pages. 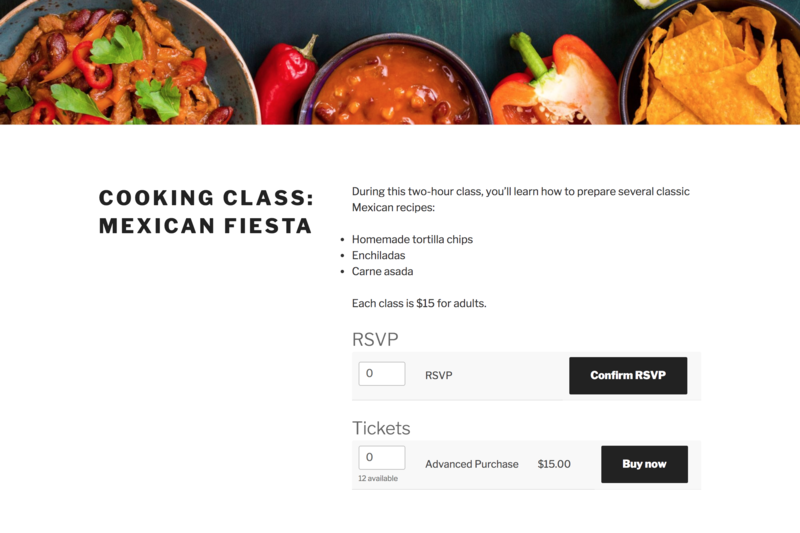 When paired with The Events Calendar, you can add that same functionality directly to your event listings, including an RSVP/Buy Now button on list-style pages. 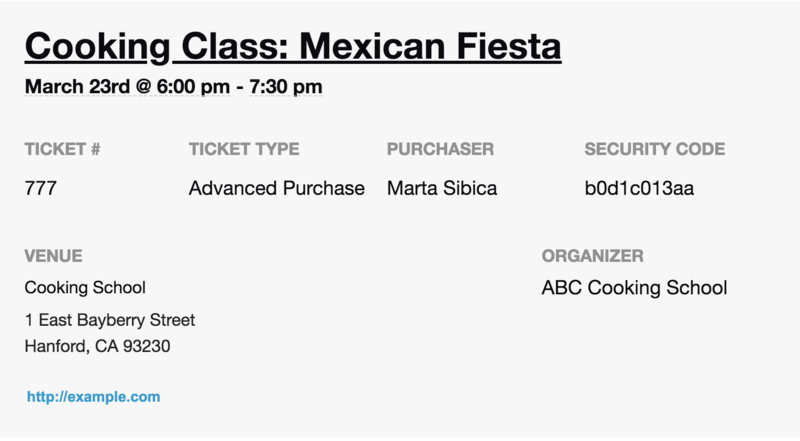 This call to action makes it quick and easy for attendees to RSVP and buy tickets to your event. 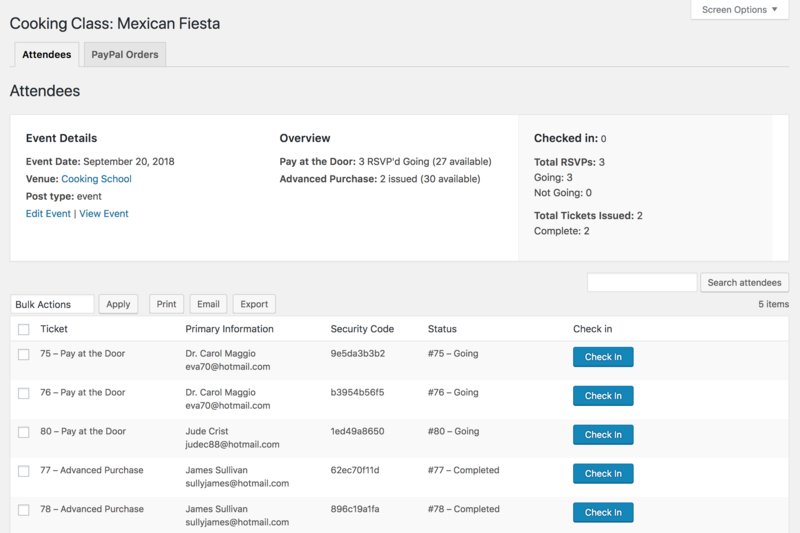 Event managers are able to access RSVP and ticket order information from the admin, allowing them to check in registered attendees when your event begins. 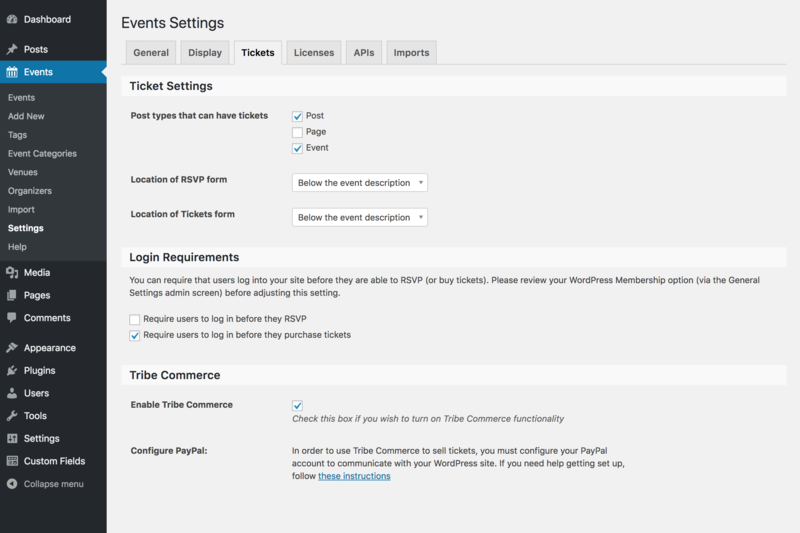 Events Tickets allows you to own the entire event management process within your WordPress site. 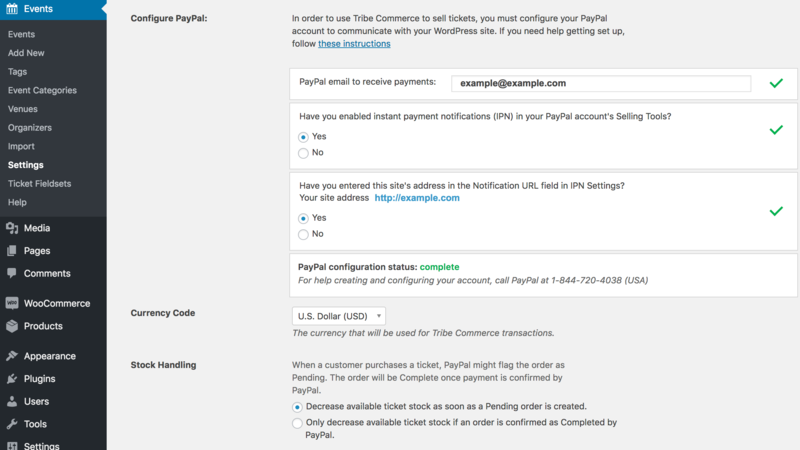 You can now create tickets for your events and sell them using the built-in Tribe Commerce functionality. 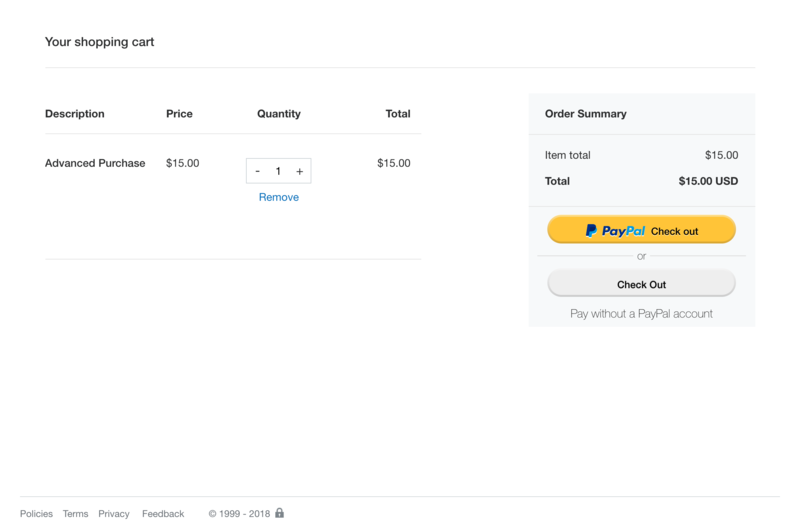 Connect to your PayPal business account and start receiving payments for your tickets. Want to improve your ticket sales experience on your site? Upgrade to Event Tickets Plus to use your favorite e-commerce provider and sell tickets directly through your WordPress site using WooCommerce or Easy Digital Downloads. What Kind of Support Do I Get With Event Tickets? The team at Modern Tribe stands by our work and offers light support every Wednesday to the community via the WordPress.org support forums. Feel free to ask a question or report a potential bug. Looking for faster help or need a deeper level of support? Purchase Event Tickets Plus and you get access to our premium help desk, which is monitored daily during the week by our team (as well as awesome Tickets Plus only features). Please note that at this time, Event Tickets will NOT support RSVP or tickets for recurring events. Please keep this in mind before making your purchase. 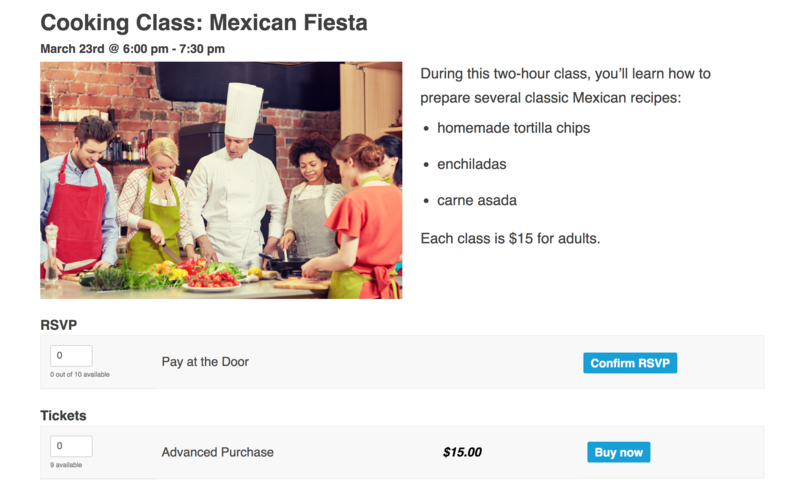 Empower community events organizers to sell tickets!